As founder of the Grapery, Jack Pandol possesses a widely respected heritage of table grape production. His grandfather Stjepe emigrated from his native Croatia at the early 1900's and farmed his first vineyard in California's San Joaquin Valley. The flat terrain and dry, hot summers proved the perfect environment for growing what is known as nature's oldest cultivated crop. Working in the fields alongside his father and uncles, Jack learned invaluable insights about all aspects of the business. He branched out on his own and founded the Grapery in 1996 following a three-year appointment with the California Environmental Protection Agency. His goal for the Grapery was simply a matter of ... taste. Jack Pandol envisioned a table grape so incredibly plump, juicy and delicious that he became laser focused on one thing, flavor. 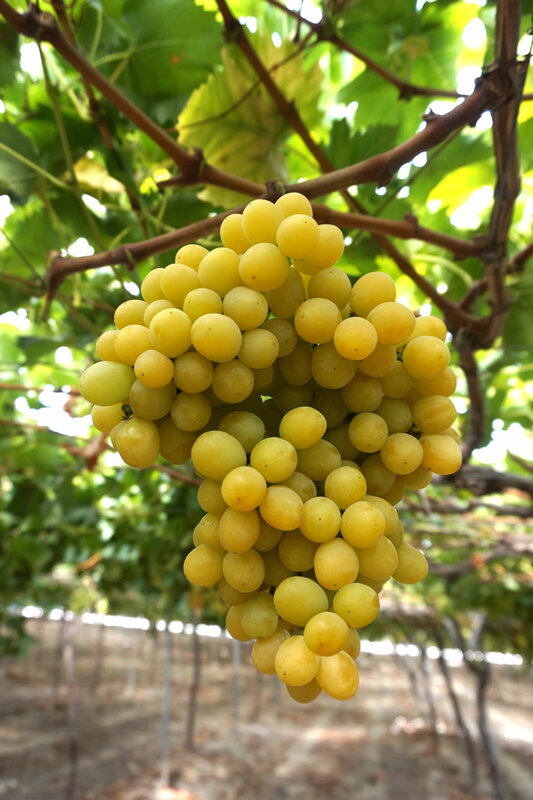 This unswerving passion has resulted in a company that continues to grow the best tasting, all-natural, most highly sought after table grapes on the market today. The Grapery works hard to ensure that all of their practices, from their agricultural methods to employment practices, fit their comprehensive philosophy of sustainability. They have spent years perfecting their agricultural methods, from adding nutritional complexity to their vines from seaweed based products, to intricate methods of nurturing the perfect soil biology. This also includes the most responsible uses of crop protection and water resources. In additional, their employees have stable employment that helps sustain the local and regional economy. While not organic, the Grapery specifically tests all of their fruit for residues before they harvest them. This ensures that our grapes are not only delicious, but also safe and healthy to consume.